Do I Need a Divorce Attorney for a No-Fault Divorce in Orange County, California? How do I End a Registered Domestic Partnership in Orange County, California? NO-FAULT DIVORCE FAQ: Do I Need a Divorce Attorney for a No-Fault Divorce in Orange County, California? In California, any couple can cite irreconcilable differences as a reason to divorce. In the majority of divorces, fault is not considered when creating the terms of the divorce. However, this does not mean a no-fault divorce is not complicated or that either party should attempt to go through a divorce without the assistance of a qualified California divorce attorney. All divorces in California will have settlement terms that can include the division of property, debts, and assets, as well as details regarding spousal or partner support, child support, child custody and visitation. In some cases, fault may be considered when finalizing some of these details, but usually it is not. In most divorces, who is to “blame” has little to no effect on the outcome of the divorce. It is always a good idea to work with family law attorneys when you are involved in a divorce in California. Your lawyer can help you understand the law and the divorce process, help you make the best decisions for you and your family situation and show you how the law applies to your divorce. What does No-Fault Divorce really mean? In 1969, California was the first state to pass a no-fault divorce statute. California is considered to be a pure no-fault state, which means no spouse ever has to prove the other spouse did something wrong in order to file for divorce. When couples divorce in California, they can cite “irreconcilable differences” as grounds for the split. Because of the no-fault divorce law in California, things like infidelity do not affect the outcome or terms of the divorce. However, it is possible for violence or abuse to impact the financial settlement and/or support payments of the divorcing couple. In California prior to 1969, couples were required to cite some fault-based grounds for divorce. Adequate reasons for divorce included desertion, adultery or extreme cruelty or violence. However, the spouse who filed for divorce needed to provide proof of such allegations. In 1966, New York passed a law allowing couples to divorce if they lived apart from one another for at least two years. This idea spread across the country and led to California’s Family Law Act of 1969, which introduced no-fault divorce to the state. Today, all 50 states allow couples to file a no-fault divorce; some states still provide the option of filing a fault-based divorce. Since no-fault divorces were first introduced in California and elsewhere in the United States, it has become much easier for anyone to get a divorce. Remember, in most cases marital misconduct does not affect the outcome of a divorce in California. California is a community-property state. This means that during the process of dividing a couple’s property, debts and assets, all shared property will be divided equitably between the spouses regardless of fault. California’s community-property laws dictate that all property be categorized as either community property or separate property and that both spouses have equal rights to community property. Although the divorce is still considered to be a no-fault divorce, California may consider one party’s dishonest actions in dividing community property (e.g. if he or she chooses not to disclose certain property or assets). While the community property will be divided equitably, the court may choose to impose sanctions on the dishonest spouse, requiring that spouse to pay the other. Child support, child custody and visitation all play large roles in any divorce including children. Every child has the right to receive financial support from both parents and every parent is legally obligated to financially support all of his or her children. This parental obligation does not change if one parent is unfaithful or otherwise wrongs the other. Similarly, child custody and visitation are parental rights. However, custody and visitation decisions are always made based on the child’s best interest. These decisions usually won’t be impacted by marital misconduct, unless something happened that harmed or has the potential to harm the child. If one parent is violent or abusive towards the child or anyone else, the other parent may choose to divorce him or her as a direct result of those actions. Under California law, however, the divorce is still considered a no-fault divorce. Violence or abuse may affect child custody (pending a court case) so as to protect the child from further harm. It is important to understand that custody decisions are not made to punish one spouse for his or her actions, but first and foremost to protect the child’s best interests. Support orders regarding spousal- or partner-support orders are made based on the ability of each individual to make payments to the other, as well as the ability of each to continue living a lifestyle similar to what they experienced during the marriage. However, there are certain actions that can influence the terms of the support order. If either spouse is dishonest during the division-of-property portion of the divorce, he or she may owe the other person additional money. This may or may not be combined with spousal- or partner-support payments. If one spouse is violent or abusive towards the other, either during or after the marriage, such actions can affect the terms of a support order. California courts may require an abusive spouse to pay additional support for pain and suffering. If the law determines the abused spouse should be the one making support payments, the court may lower the amount or void them entirely. What are the Requirements for Divorcing in California? 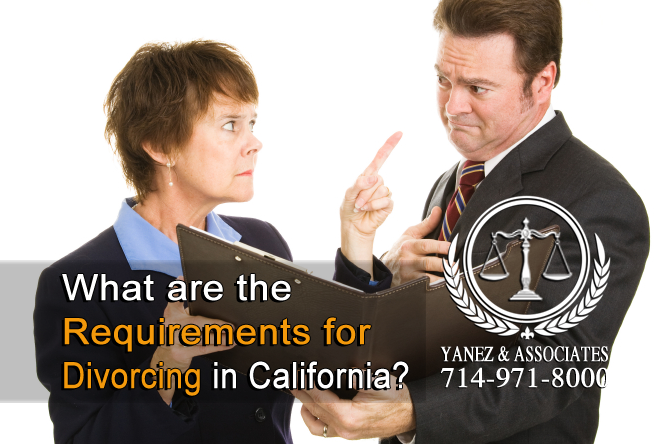 What Requirements must we meet in order to divorce in California? 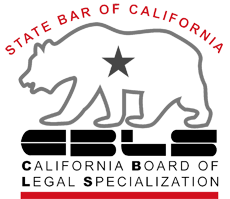 So if California does not require couples to have a fault-based reason for divorcing, what are the requirements for dissolving a marriage or partnership in California? • One spouse or partner needs to have lived in the county where the divorce will be filed for at least the previous three months. Registered domestic partners in the state of California are not subject to residency requirements. By registering in California, they have already agreed that California courts can dissolve the partnership. Neither party needs to live currently or previously in the state. A specific option known as a summary dissolution could be a simpler way to get divorced. In order to file for a summary dissolution, a couple needs to meet specific requirements. A summary dissolution may require less time and legal assistance spent with an attorney. How Can a Divorce Lawyer Help me During my California No-Fault Divorce? What will a divorce attorney in Irvine, Santa Ana or Newport Beach help me with in my no-fault divorce? Because California does not require either party to prove some kind of fault or wrongdoing in order to divorce, marital misconduct usually has no bearing on the outcome. A divorce attorney can help you through your no-fault divorce the same way he or she could help you if you had a reason other than irreconcilable differences for wanting to end your marriage. So what do divorce attorneys do, anyway? Sometimes, an attorney can be beneficial simply by his or her knowledge of laws and regulations that could help your case and that you otherwise might not be aware of. For example, if you and your spouse can work together to come to an agreement outside of court or before filing for divorce, you might have a better chance of avoiding a trial. If you choose to reconcile your divorce outside of court, an attorney can help you through the process of mediation or collaborative divorce. Often, attorneys like this make the best divorce mediators because he or she has thorough understanding of California divorce law and can help guide you and your spouse or partner towards a solution. In addition, a divorce attorney can act as a private consult outside of your mediation sessions so that you understand how the decisions you make in mediation can affect you after your divorce. A collaborative divorce is when both parties to the divorce work together with their independent attorneys – outside of the courtroom – to come to an agreement regarding the terms of their divorce. If you do choose to go to trial, an attorney can help you through that process as well. Divorce Attorney for No-Fault Divorces in Orange, California. Whether you are considering a divorce or are already in the middle of a no-fault divorce in California, you should always consult with family attorneys to help guide you through the process. Contact the Orange County divorce attorneys at Yanez & Associates today to schedule your free initial consultation. 2 What are the Requirements for Divorcing in California? 3 How Can a Divorce Lawyer Help me During my California No-Fault Divorce? 3.1 So what do divorce attorneys do, anyway? California No Fault Divorce, How Can a Divorce Lawyer Help me During my California No-Fault Divorce?, How To File For Divorce in California, Orange County No-Fault Divorce Lawyer, Uncontested Divorce in Orange California, Uncontested Divorce in Orange County, Understanding California’s No-Fault Divorce Law, What are the Requirements for Divorcing in California? How can I get a fast divorce in Orange County California?